Victoria on Masterpiece returns to NPT for a second season beginning Sunday, Jan. 14, 2018 at 8 p.m. Written by historical novelist Daisy Goodwin, the series chronicles Victoria’s first years on the throne as she learns what it means to be queen, while also starting a family – including the all-important task of producing an heir – and managing a consort in search of a role of his own. Season 2 continues Sundays through Feb. 25. In addition to weekly replays on NPT2, each new episode will re-air Thursdays at 11 p.m. on our main channel. Following the Jan. 14 premiere, the entire second season of Victoria on Masterpiece will also be available for streaming on NPT Passport. 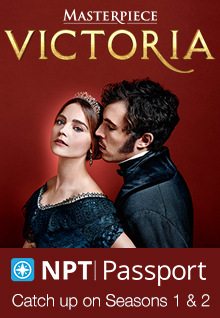 Season 1 of Victoria on Masterpiece is currently available on NPT Passport. 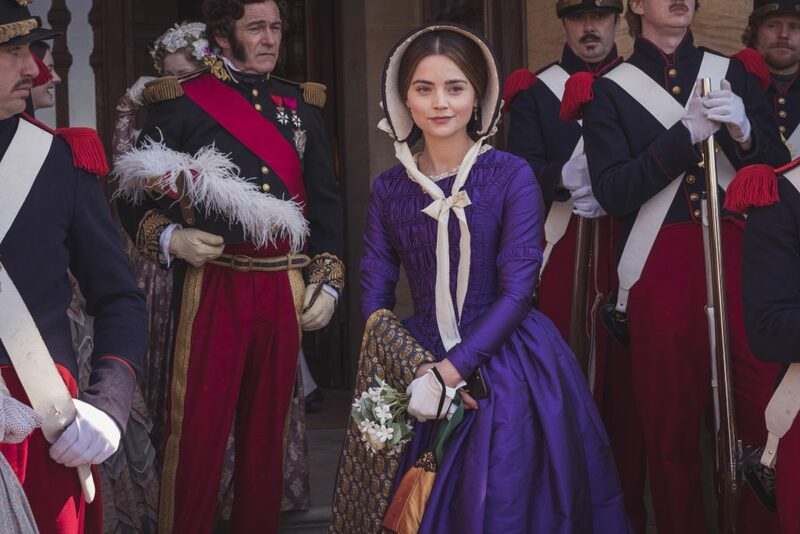 Jenna Coleman (Doctor Who) returns as Victoria, Tom Hughes reprises his role as Prince Albert, and Rufus Sewell returns as Lord Melbourne, Victoria’s advisor. Joining the cast in Season 2 is legendary actress Diana Rigg (Game of Thrones), who plays the Duchess of Buccleuch, the court’s new Mistress of the Robes. More than 16.2 million viewers tuned in for Victoria’s premiere season, making it the highest-rated drama on PBS in 20 years – second only to Downton Abbey. Victoria Season 2 is set during the beginning of the Industrial Revolution and finds Prince Albert and the public fascinated by technological breakthroughs such as the telegraph, a tunnel under the Thames and the development of a mechanical calculator. On the other hand, there are potential crises on the horizon with the Anglo-Afghan War and the Irish Potato Famine. This entry was posted on January 3, 2018 at 1:16 pm. You can follow any responses to this entry through the RSS 2.0 feed. You can leave a response, or trackback from your own site.